One of my favorite bag brands is Lacoste. I love their bags because they are classy and are made of good quality. My husband knows how much I love Lacoste bags so he would buy them for me as birthday gifts, my small collection actually came from him. They are a bit pricey but definitely worth every penny. 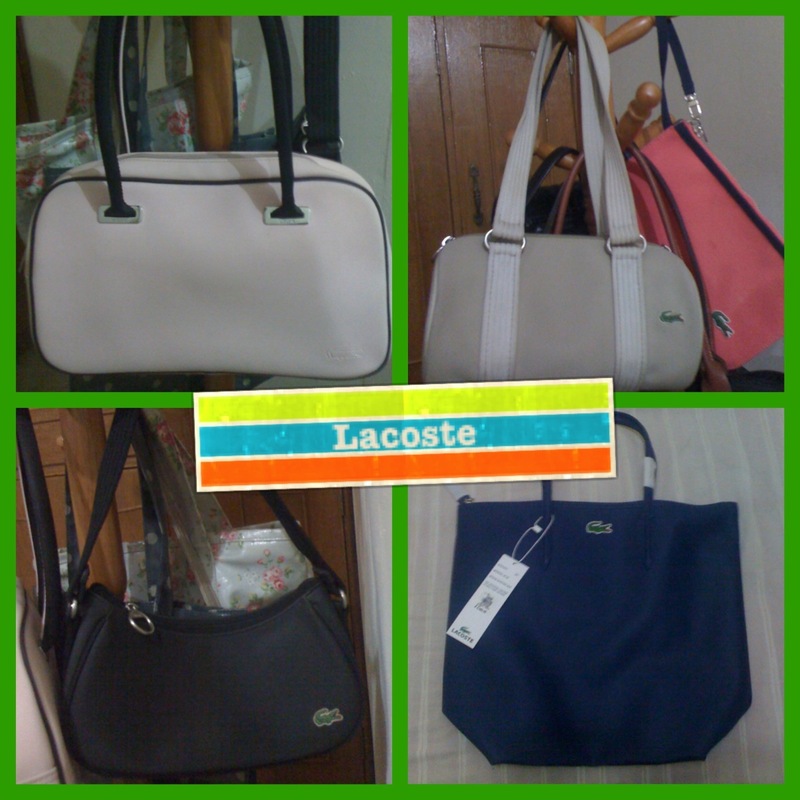 My Lacoste bags still look as good as new even if I have them for quite a number of years already. Contrary to popular belief, Lacoste bags and leather goods are made from man made leather and not from crocodile skin. You might be wondering then why the company chose the crocodile to be Lacoste’s logo. Well it was because Rene Lacoste, tennis champion and founder of Lacoste Company himself, was known as “The Crocodile” for his tenacity on the tennis court. He had his animal nickname embroidered on his shirt and from then on, the Lacoste brand was forever linked to the Crocodile. Last May, Lacoste SA Chairman, Michael Lacoste, Rene Lacoste’s son himself was here. He confessed that though it was not his first time to come to the Philippines as he has been here before for business reasons, this was actually his first time to come here on a mission. He, together with a dozen 2 year old crocodiles, media, and group of environmentalists boarded a truck and headed to San Mariano, Isabela last May 19 to complete his mission. Mr. Lacoste’s company is part of the international conservation initiative Save The Logo. In the Save The Logo program, companies whose logos featured endangered species are called upon to contribute to the preservation efforts of these species. The 2 year old crocodiles who accompanied Mr. Lacoste belong to the highly endangered species, Crocodylus Mindoremis or Philippine Crocodile. This species is endemic to the Philippines. It is projected that they will become extinct in the next ten years if no action is done to preserve and conserve them. 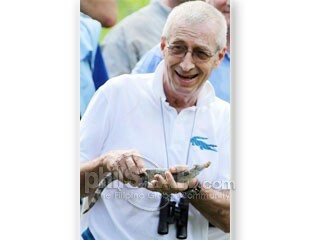 Mr. Lacoste initiated the release of some 12 young crocs in Dunoy Lake in Isabela in the hope that they will soon propagate. He hopes that with Lacoste’s involvement in the conservation efforts of the Philippine crocodile, much attention will be given to the Mabuwaya Foundation so that they can get the support of local authorities. Mabuwaya Foundation is a non-profit organization established by Isabela State University and Leiden University in Netherlands with the aim of protecting the Philippine crocodile and its natural habitat. Let’s hope that a lot of companies will follow Lacoste’s lead and actively involve themselves in the preservation of endangered species too whether they use them as their logos or not. 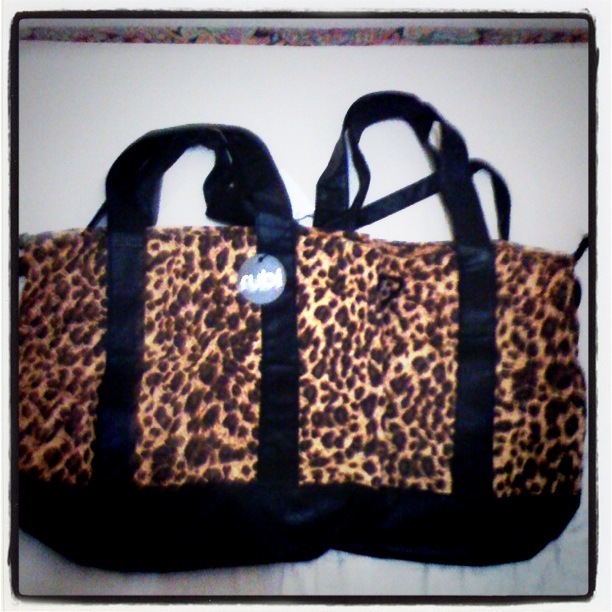 Now time for a little giveaway, I got inspired with Lacoste involvement in environmental causes so I am giving away two animal print bags from Rubi (don’t worry, these are canvass bags, they are not made from real animal skin). I will choose the winners via random.org. 3. Answer the question: What endangered species will you help save and why? 4. Leave your answer, name, email add and the URL of your facebook post on the comment box below. If you are joining raffle no. 2 as well, please include the email you used to subscribe. 1. Subscribe to Blancotes newsletter by dropping in your email at the sign up tab found on the left side of this page. 2. All subscribers (previous or new) of Blancnotes will automatically be included on the raffle. I will help to save our Philippine Eagle because its the national bird, has a reputation of being a strong, aggressive and fierce animal. But when it comes to showing love and devotion to its mate and offspring, it is surprisingly gentle and caring. Im encouraging others to learn about nature, enjoy watching wildlife, and value protecting habitats and species with which we share this planet. I would save the Tigers – they are beautiful, magnificent cats and sadly there are less than 4,000 left in the wild. They are hunted for their meat, their fur, and their body parts which are being used in fashion and in traditional Asian medicines. I would save them because they need to be saved – because man has made their lives miserable, hence man should make amends. I will help save the Philippine Eagle because it is the our national bird. We cannot let this species disappear because it represents our country so it is very important that we save and try to propagate it. I will help to save the giant panda because it’s one of these species threatened to be wiped off planet. Ironically, it is also one better known and loved species in the world and one of the strongest symbols of nature conservation. It must be protected and saved so that future generations can experience their presence and value. I would save the Tarsiers, because they are one of a kind, and is an iconic symbol of Bohol. They are cute and we are lucky to have this kind of specie in our own country, so we must protect and help save them. PHILIPPINE EAGLE of course! i really love animals specially birds because my lolo is a veterinarian. i want to save it lalo na dito lang meron sa Philippines nun. i still want to preserve the beauty of our own species like this. I will help save the pawikan because there are only few of them, so that our future generation will have the chance to see them. I would save the Polar Bears because they may look fierce and dangerous, they are endangered by the melting Arctic. I will help save the blue wales/butanding in our country. As the biggest mammal in the world, they need to be preserved and they have the right to stay in this Earth like us, people. I know I cannot save them personally, so my simple act to save them is to attend to different NGO activities whose program is to develop and preserve them. Activities like fun runs, signing for the preservation of this endangered species and helping other people to increase their knowledge on why these species need to be preserved. We can use social networks like facebook, twitter and multiply to share to other this act to help our environment. answer: I will help save the Calamian Deer because this hog deer is unique of its kind & can only be found in the Philippines. Well, I had no idea how the company got that name. I used to wear Lacoste Ts in the 80s. Yeah, they were real popular in the 80s. Hi there! This post could not be written any better! Looking through this article reminds me of my previous roommate! I salute Mr.Lacoste for their efforts in helping the animals.I’v been to the Philippines, such a lovely country,the people and places.Paradise.Thank you for sharing this article Blanca.Its good to know there are people who still fight for those who can’t speak for themselves.God bless. Oh, by the way, what animal would I save? Hmmmmm…. I would save the Panda,they are one of the most sensitive endangered species today.